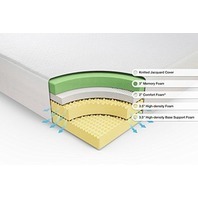 Conforming Green Tea Memory Foam comfort and pressure relieving support for a better night's sleep. 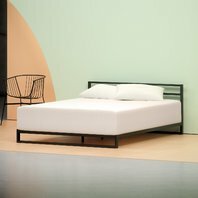 3 inches Memory Foam, 2 inches Comfort Foam, 3.5 inches Airflow High-density Foam, 3.5 inches Airflow High-density Base Support Foam. 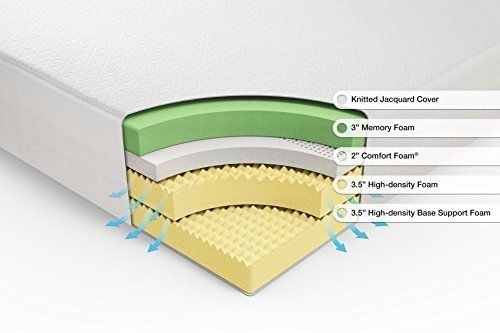 Foam is CertiPUR - US Certified for durability, performance, and content. A safe and trustworthy anti-oxidant, Zinus infuses its memory foam products with natural green tea extract to maintain product freshness.